The human body is an amazing piece of biological engineering. In the past, we relied heavily on its strength and durability to accomplish many physical tasks, such as digging, lifting and crafting. Over time, technology, machines and equipment have been developed in order to help us in our working and daily lives. Despite this, however, there is still a wide array of jobs and tasks that require the human touch – particularly the use of our arms and hands. Our arms and hands are amazing things. They can perform very deft, delicate tasks, requiring millimetric precision – just think of surgeons performing an operation. However, they can also use brute force to get a large, stuck bolt out of a hole. Both of the above would generally require using some kind of tool to assist us – a knife or sledgehammer in these cases. Remember though, that highly skilled and trained martial artists can break concrete blocks with one hand, with no tools required except for extreme focus, dedication and nerves of steel! Through the sense of touch, we can be alert to danger, even if it is hidden from our other senses. We know if something is too hot or cold to handle, we can detect sharp and smooth edges, we can feel if the object in question is hard or soft, we can even know if there is movement, simply through contact between the object and our skin. Different nerve endings in our skin send messages to the brain, which processes the information. This naturally allows us to “risk-assess” and gain information on the object we’re touching or handling, and know how best to deal with it. Natural risk assessment is important so we can prevent damaging our arms and hands. Even worse, we may lose a part of them, such as a finger, or a whole hand or arm. This can occur in multiple ways, and no industry or workplace is free of hand and arm hazards. For example, someone working with machinery could get fingers, hands or arms trapped in tight spaces, they could become entangled around rotating parts of machinery, or be cut/severed through contact with blades and sharp edges. Also, limbs could be crushed in various scenarios. When you think of an office, very few, if any, machinery hazards exist. So what’s the problem? Well, the level of risk may be reduced, but that does not mean we won’t potentially suffer the same consequences. Severe burns could occur through someone spilling a hot drink; a slip, trip or fall could result in fractures; a worker may even cut themselves using scissors or other sharp tools; or have an injury as a result of a manual handling incident. If you want comedy value, think of someone trying to hit a nail with a hammer, but hitting their hand or finger instead – as I’m sure many of you reading this have done, just like me. With this in mind, all workplaces should consider hand and arm protection that is appropriate to their specific circumstances. There are many kinds of injury that can occur, including cuts, bruises, dislocations and fractures. Most of these are short or medium term, and are usually easily identifiable. However, long term issues can also occur. Partial or complete amputation may occur directly during an incident, or be a result of surgery, if the limb is too badly damaged to be saved. Workers using vibrating equipment for long periods of time can damage nerves. This results in involuntary shaking and movement of their limbs, HAVS (Hand Arm Vibration Syndrome), Vibration White Finger, and other conditions. Long exposure time to cold or heat could result in conditions such as frostbite or third, second or first degree burns. This is particularly important as it does not necessarily require direct contact with a hot or cold surface. It could simply be exposure to a hot or cold environment (such as an oven, or working in an industrial freezer). So, we need to take a holistic approach and consider the bigger picture, not just the immediate world. Any injury that affects the hands or arms can be classified as a WRULD, or Work Related Upper Limb Disorder. WRULDs can also occur to the neck and back, but we will focus on hands, arms and fingers only in this article. So what can be done to tackle these potential problems? As always, our first thought should go to prevention. Particularly, we should try and keep our hands and arms out of “the line of fire”. In other words, whenever possible, we should keep our limbs away from areas or zones where damage could occur. 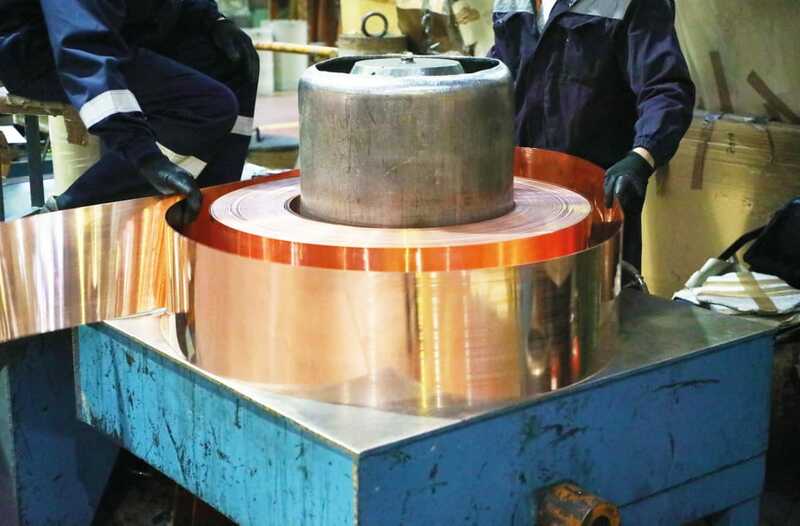 Again, think of rotating machinery, blades, underneath heavy objects, hot and cold surfaces, and so on. Can we adapt the task, so that the hands and arms are no longer required? For example, instead of digging a trench using a worker with a shovel, use a piece of plant equipment such as an excavator to dig the hole instead. 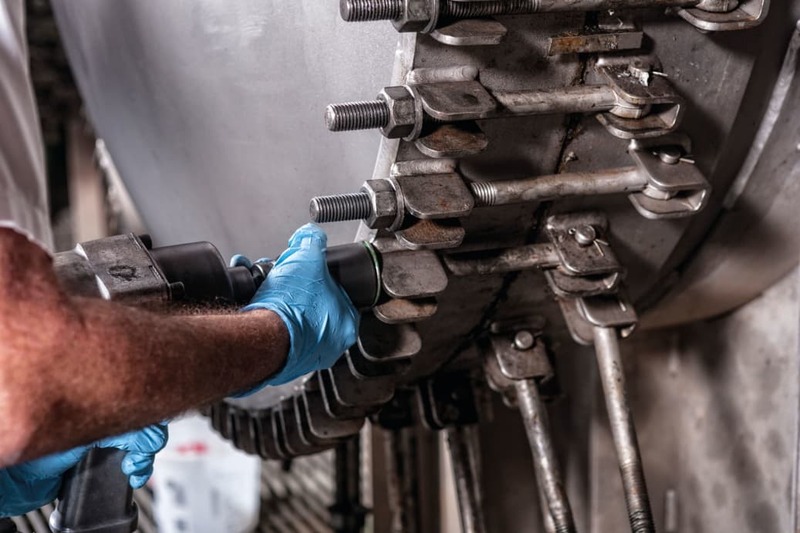 Rather than trying to work on a broken part of machinery while it is still attached to the machine and difficult to access, remove the broken part and repair it in an open area, such as at a work bench. Training our workforce is another good tool. You could do general hand and arm safety training, or it may be included in other training programmes. For example, if members of your workforce use abrasive wheels (such as polishers and angle grinders), proper handling, safe wheel changing, and correct use of the guards would all be hand and arm safety-related topics. Think about using job-rotation, and/or giving frequent breaks to people using vibrating equipment. Keeping the equipment in good, working order will also help to reduce or eliminate any unnecessary vibration. Job rotation is also a good tool for those exposed to extreme hot and cold. You should also consider the person themselves. Think about their mental capabilities, size and strength, and assign them the appropriate tasks. Whereas a patient person with smaller hands is probably better suited to delicate work, or work in tight, confined areas; a person with large hands and arms would probably be better suited to more rigorous, physically demanding work, such as heavy lifting. Rest assured, in no way am I trying to stereotype here. It just makes sense for the bigger person to swing a sledgehammer, as they will have greater physical strength and endurance than their smaller peers. Some workers may also have the advantage of being ambidextrous, meaning they can use both hands equally well. This is an advantage as the general population tends to have more control and strength in one hand than the other. A member of the workforce may also be limited as to what tasks they can perform. They may have suffered one of the injuries we mentioned earlier and so cannot perform their usual duties, but are still fit to do some kind of work. As an example, a scaffolder may have cut their hand, making it difficult for them to handle scaffold piping, and their tools. So instead of erecting and dismantling the scaffold, you ask him to work in the office for a week. This kind of scenario, often referred to as “light-duties”, can often have the hidden benefit of educating the worker in areas of the business they may not be familiar with. Of course, whether you take this approach, or have the employee off on sick-leave will depend upon your company’s policies and procedures, and the legislation appropriate to you. Guarding systems and signage are also weapons in the fight for hand and arm safety. Fixed guards can help prevent hands, arms and fingers from coming into contact with dangerous parts of tools, equipment and machinery. There is no way the worker can be exposed, unless the guard is physically removed using some kind of tool or device. Other kinds of guards may be rigged in such a way that machinery will not run unless the guard is in its correct place or configuration. For example, a washing machine will not run, unless the door is closed and locked. There may also be sensors or other devices that will automatically shut-down equipment, should they detect a hand or arm coming too close to the danger area. These items, such as lasers, light-sensors and pressure plates are called trip guards. 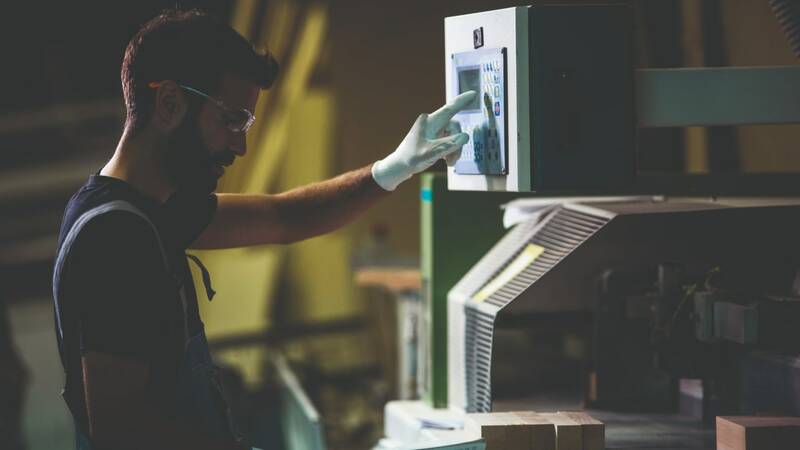 Signs and stickers can also help workers identify problem areas, whether that's hot surfaces, rotating parts of machinery, or even something as simple as the correct place to hold an object. Ideally, any wording on these would be in the language that the workers can understand. They may even be pictorial in nature, with the symbol and colour of the sign immediately making the worker aware of any hazards, or instructions they may have to follow. Another simple way to help protect the hands and arms is to cover them. With hands, this is easily done using gloves. For arms, they may be covered by a shirt sleeve, coverall, chainmail or some other covering. This will depend upon if the arm protection is part of the workers “uniform”, or is separate. For example, lots of professional and amateur golfers alike use “sleeves” to protect their arms from exposure to sunlight, protecting them from sunburn and potentially related conditions such as skin cancer, or melanoma. These sleeves are an extra addition to their workwear, as most golf shirts have short sleeves, which only cover the shoulder and arm down to the elbow. As another example, someone training dogs for use in Police, Security or Military services will wear a “bite sleeve”. As part of the training, the dog will “attack” the trainer, biting and holding onto his arm. The bite sleeve stops the dog injuring the trainers arm, and is designed in such a way that the dog itself does not get hurt. This allows the dog to have the appropriate training, without harming either the trainer or the animal. The dogs involved in this training are usually strong, large breeds, such as German Shepherds. They would inflict severe wounds if it were not for the protective sleeve. Finally, you may have a diver in an aquarium who will sometimes wear chainmail on their hands and arms (maybe even their whole body). The chainmail will fit over the top of their diving suit. This gives the diver a layer of armour, so when they are feeding large, predatory fish such as sharks the fish get the food without also having the diver’s fingers or hands for dinner! This is because the teeth of the fish cannot penetrate the chainmail covering. With hands, everyone thinks of gloves. There is more to this than you think though, as issuing the wrong type of gloves can actually increase the chances of something going wrong. Loose or incorrectly fitting gloves can allow hands to be pulled into moving parts of equipment. Thin rubber gloves offer no protection from heat and sparks. The wrong kind of gloves can make jobs more difficult by making it hard to feel certain things (a small pin for example), or by lacking the necessary grip to hold onto something. So careful consideration needs to be given to the task in order to correctly identify the issues and therefore procure the appropriate gloves. There is a plethora of different types, shapes and materials. Some gloves are made of a simple rubber material such as latex, that you use once and throw away. Others can be armoured and withstand great forces. 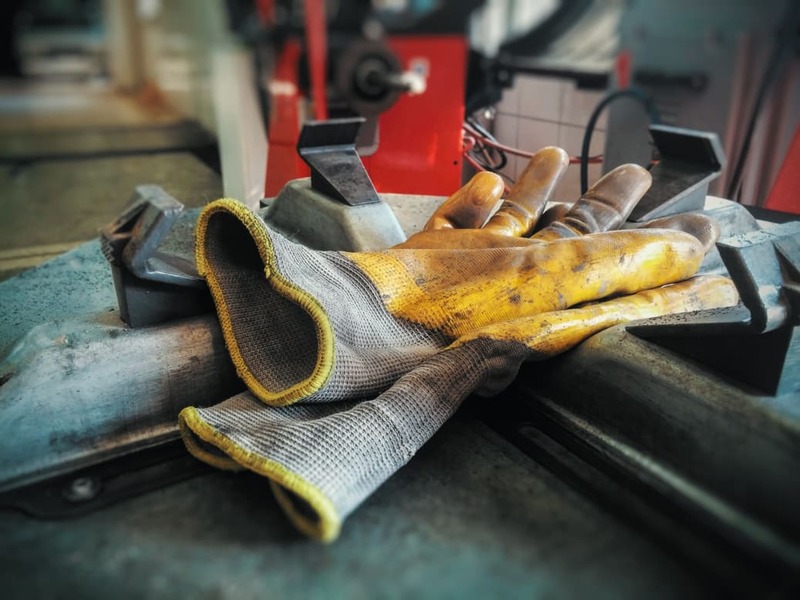 Examples of gloves include heat and friction-resistant armoured gloves used by motorbike riders, heat-resistant leather gauntlets used in laboratories, oil-resistant impact gloves used by scaffolders and even anti-slip, cut resistant gloves used by fisherman. So just like any other personal protective equipment, do testing and fitting trials, and get input from the workforce as to what the most suitable gloves are. 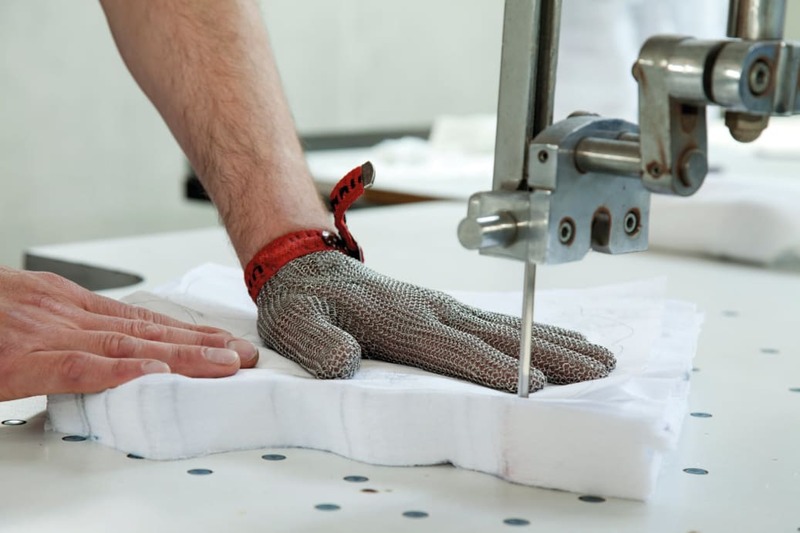 Remember, not only do they have to protect the workers’ hands, but they should also be comfortable, especially if they are going to be used on multiple occasions or for long periods of time. Another factor that can also cause hand and arm incidents is wearing jewellery or accessories during work. Rings, watches, bracelets and so on can get caught on moving equipment, often causing horrific injuries including de-gloving. Imagine peeling a glove off your hand. Now imagine that glove is actually the skin of your hand. Just like many other hand/arm injuries, not only is this physically traumatic, but it can also be mentally damaging to the worker. Indeed, lots of these graphic cases look like something straight from a horror movie. Lots of workers wear these items that we mentioned earlier for sentimental reasons. It may be a part of their faith, or a symbol of love such as a wedding or engagement ring. It is important to educate your workforce on the dangers that wearing jewellery could pose. Encourage workers to remove these items before starting, and during work, and ideally have somewhere safe for them to store such items, such as personal lockers. If this is not possible, try to encourage workers not to bring these items to work. Human error is also something to think about. Many tasks using our hands and arms require good hand-to-eye co-ordination from the worker. It may be a delicate task involving very small items, such as microchips. It could be something more robust, such as moving furniture from a van into a house. No matter the job, human error can be a big factor involved in hand, arm and finger injuries. This could be down to the worker being distracted or simply not concentrating; however, fatigue or medical issues may also be involved. People naturally make mistakes, that is what makes us human, yet we can manage this to some extent. Earlier we discussed training, breaks, job rotation and considering the worker. Think also again about the bigger picture. Has a worker recently been making mistakes? Have there been a few near misses that have only recently come to light? If any doubt exists, consider moving workers away from hand/arm orientated tasks, if necessary. As we can see, there is a lot more to hand and arm safety than simply putting on some gloves. Take a holistic approach and consider the task. Can it be made safer and what are the hazards? Consider the workers. Are they capable of the specific task you have asked them to do? Have you chosen the correct protective measures for the correct job? As always, if there any doubts, plan the work properly. Approach consultants, industry specialists and the workforce. HSE professional, holding Technician status with the Institute of Occupational Safety & Health (TechIOSH). James is an approved NEBOSH and IOSH Trainer, and specialises in Materials Handling Equipment Training, for which he is a qualified instructor through ITSSAR (International Trading Standards Scheme and Register), and RTITB (Road Transport Industry Training Board).